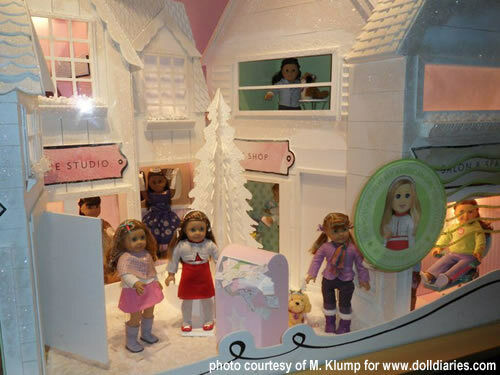 American Girl Doll Central is inviting you to a “Walking in a Winter Wonderland” Gallery Display- here at AGDC! To participate, keep reading! 1. 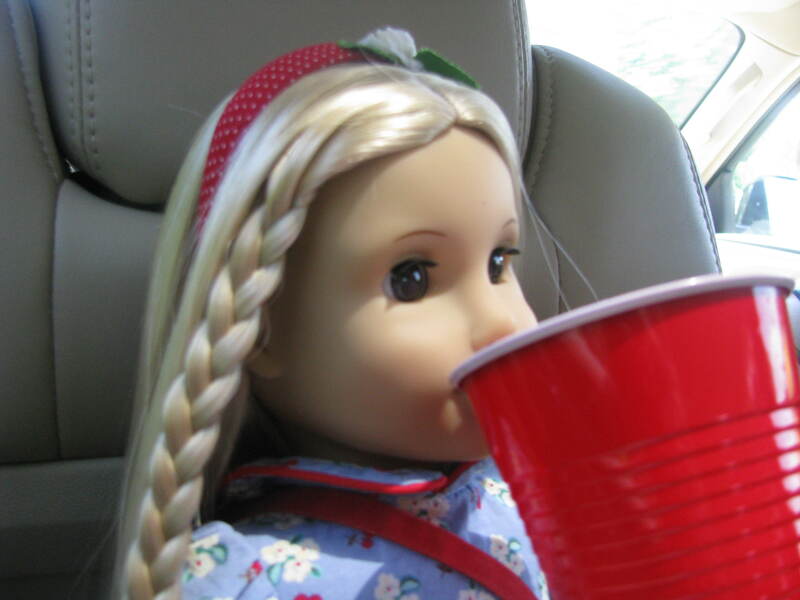 Take a picture of your doll(s) celebrating Christmas, New Years, or just enjoying winter activities. 2. Send your picture to madelineward17@yahoo.com . 3. 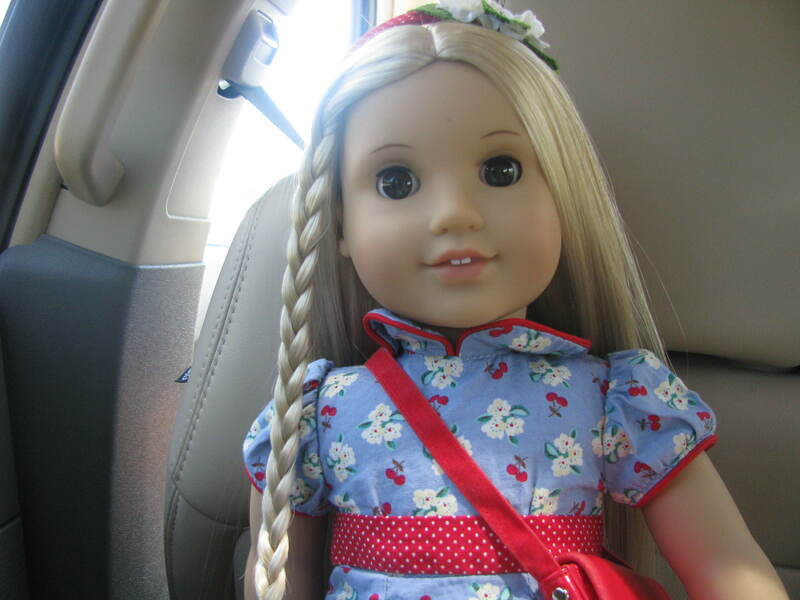 When sending your picture, include what your dolls love most about Christmas/Winter. 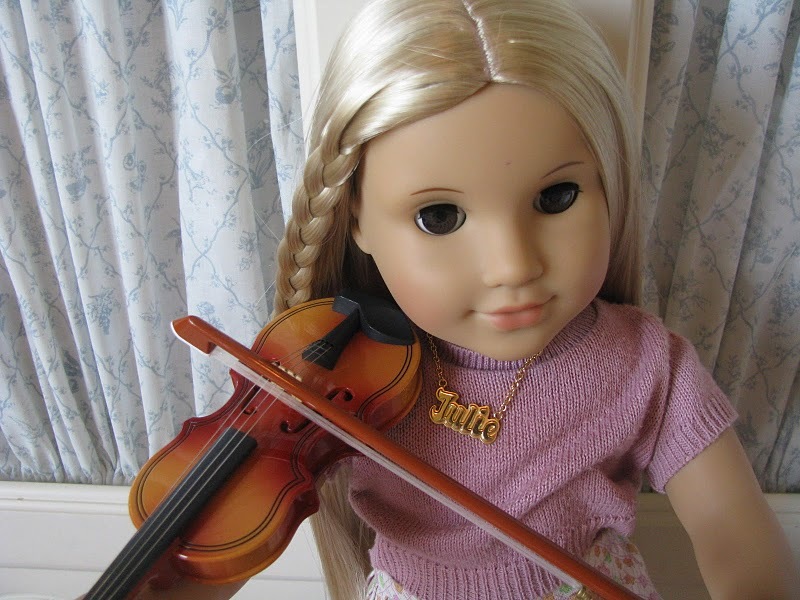 Also include your first name or nickname and the names of the dolls in your picture! 1. You can send in up to 3 pictures. 2. Pictures must have to do with Hanukkah, Christmas, New Years, Snow, Wintertime, etc. 3. Pictures must be sent in by Jan. 3, 2011! Mark the date! 1. Pictures will be posted as a “Winter Wonderland” gallery on both AGDC’s website and picasa. You will get full credit for your picture. 2.If you would like to take a picture of any AG store’s winter displays (the picture must be owned by you) these will also be accepted! To read this story, scroll down to my link bar and visit “Madeline’s Picasa Albums.” This will take you to my picasa page, where you can read a few photo stories. Many other stories are found on this site. If you’d like to comment on this story but do not have a Picasa, come back here saying you’ve read the story and what you thought of it. Thank you! NOTE: As for what I have decided, I am going to start to do some stories on picasa, some on here, so I can keep a well balance. I hope to add some more stuff here soon besides just photo stories. I am also working hard on making some AG videos for my youtube. NOW, THE MOMENT YOU’VE BEEN WAITING FOR….JULY FOURTH PICTURES! So, I got three pictures. Not too many, but I’m very thankful that these three sent them in! Thanks!!!!! I have also added some of MY pictures. Last but not least…..Leanna’s picture! (Sorry Leanna I am not sure if this is the picture you wanted. I hope it is!) 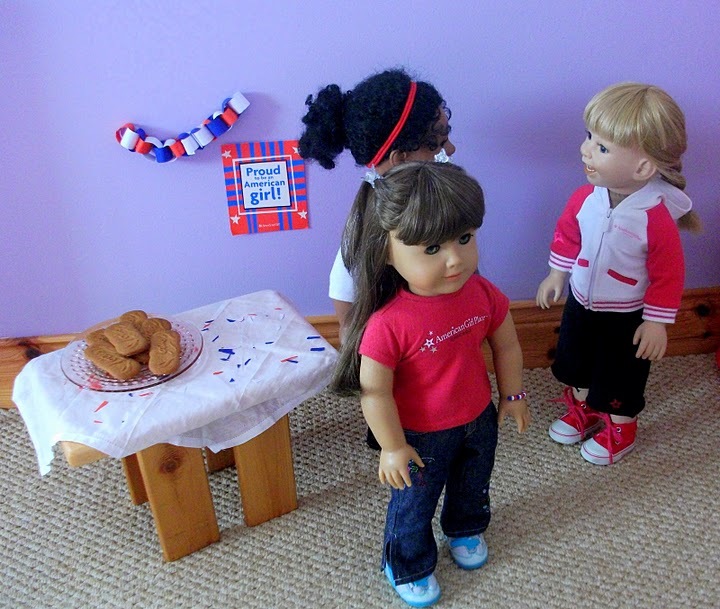 Leanna’s dolls, Kristy and Lanie, are having a picnic to celebrate the Fourth of July. Another great pic! The lighting is just very cool and still Summery in the picture. 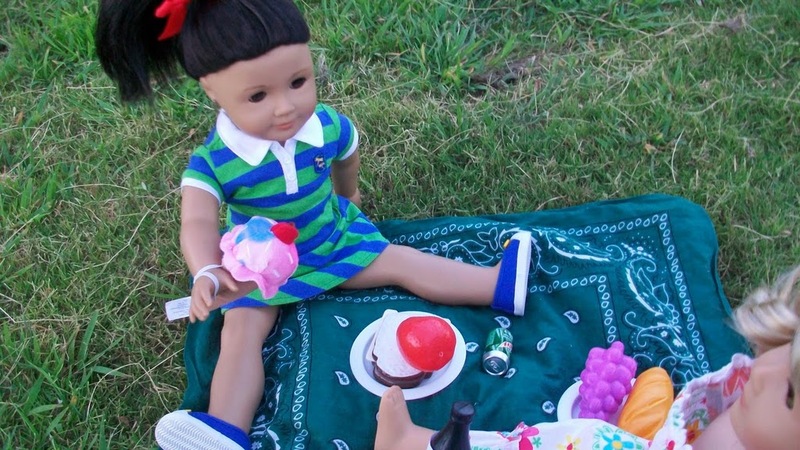 I like how she used the bandanna as a picnic blanket and I love the little food! And note that it’s food you eat at a picnic, she didn’t just stick a piece of pizza or beans on the plate. GREAT JOB TO ALL THREE OF YOU! I LOVED SEEING YOUR PICTURES!!!!! THEY ALL HAD SOMETHING GREAT ABOUT THEM! Ok, now for some of mine……. Earlier in the day before we go see fireworks, Julie goes on A little car ride. “Do you like my outfit?” she asks. “Oh, look, look, look, Madeline’s mom!!!! Lemonade!!! Can we get some??? Pretty, pretty, pretty please?? ?” I don’t know how anyone COULD say no! 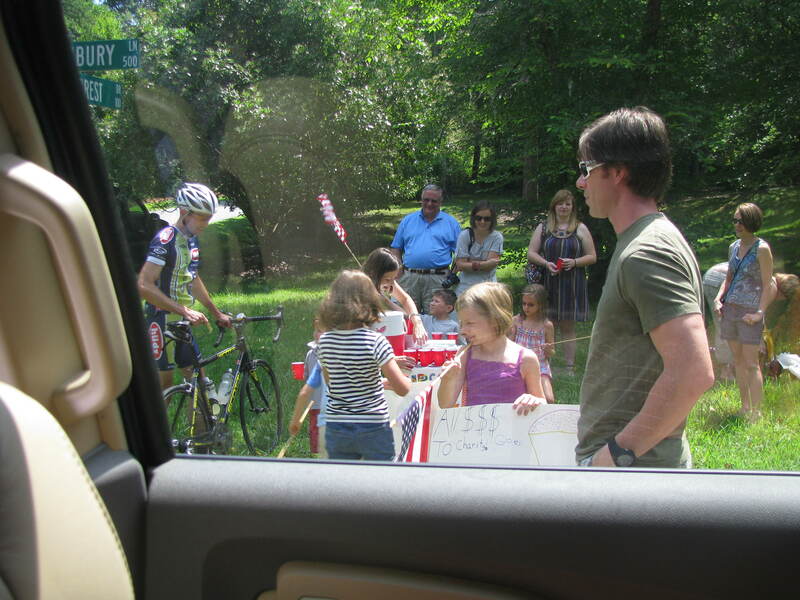 They were all little kids raising money for charity with big signs and waving flags. Right at a stoplight in a neighborhood, too. (Sorry for the bad quality! I had to use flash and it always makes my dolls look all shiny and weird.) Later, we grab Addy decked out in her fourth of July wear and head to the fireworks show. “I can’t wait!” says Addy. “Me neither!” Julie agrees. When we get to the sow, we sit on a quilt Madeline’s great grandmother had made. We meet our friend Nicki, too! “Hi Nicki!” And then we watch the fireworks. They were so pretty! Happy Fourth of July everyone! 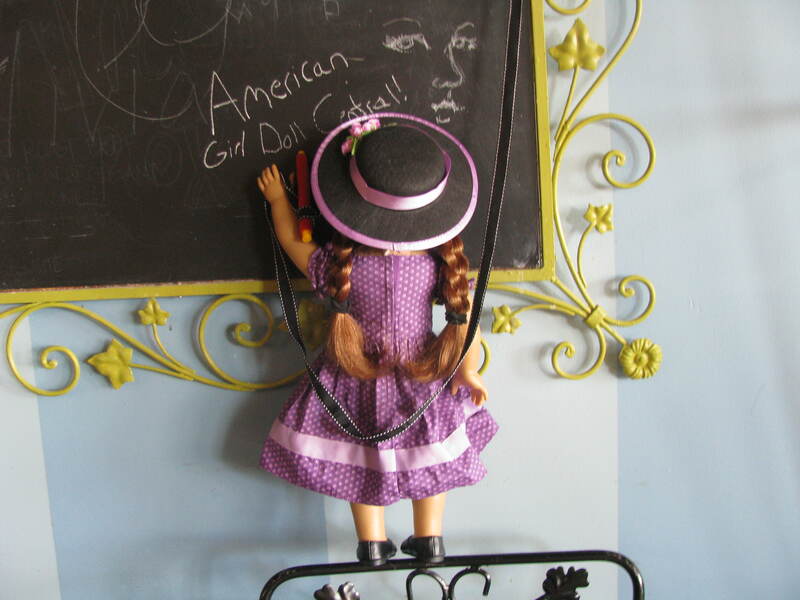 Oh and I forgot to mention- we have some new people in “Our Friends and Their Dolls”. Visit the page to see! That’s right! 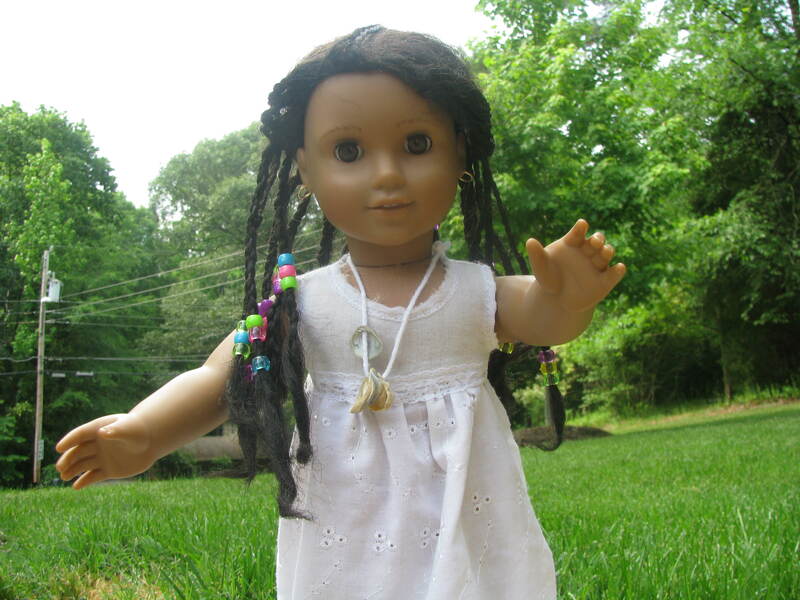 Your favorite hispanic girl is going to take a chance and enter the American Girl Playthings Photo Contest; made by the Bean Stalk. We hope you will cast a vote for Josefina! 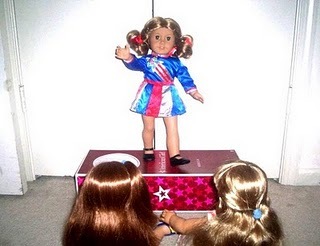 This year, you can give split and give points to other dolls, so that means you can vote for Josie’s friends, too. I’m not exactly sure when the contest will be starting. I think around May 23rd, so be sure to check out the Bean Stalk website soon!!! Thank you and have fun voting! I think it’s one of my favorite doll pictures! It was taken at a French bakery we visited before the Mint Museum! Photo story coming soon, but I just had to share this one photo. You have pictures like that, right? Hello everyone! Well it’s the moment you’ve all been waiting for- who won the February Fun Photo Contest 2010!!!!!! First of all, let me say CONGRATULATIONS to everyone who entered and you will all be getting a special certificate. You all did GREAT and this was a hard decision. But sit still while we anounce 3rd, 2nd, and 1st place! 3rd Place is awarded to……..Leanna!!!!!! What you’ve won: A special shout-out from me to you on AGDC (and soon Youtube); A special 3rd place certificate; and a Doll Pillow sewn by Madeline!!! 2nd Place awarded to: Hannah!!!! A special shout-out from me to you: *I can’t yet give you a shout-out, though your pictures were awesome!!! The reason is because I may have accidently deleted or something…I don’t know. Please send it again and I will update this!!!! What you’ve won: A special shout-out from me to you on AGDC (and soon Youtube); a special certificate; and a Doll Dress sewn by Madeline! Notice: Please e-mail me the address you’d like me to send the package to! 1st Place awarded to: Anne!!!!!!!! What you’ve won: Special shout-out from me to you on AGDC (and soon Youtube); a special certificate; doll dress, doll pillow, doll blanket all sewn by Madeline! Notice: Please e-mail me the address that you’d like me to send the package to! Thank you and you ALL did a WONDERFUL job!!!!! 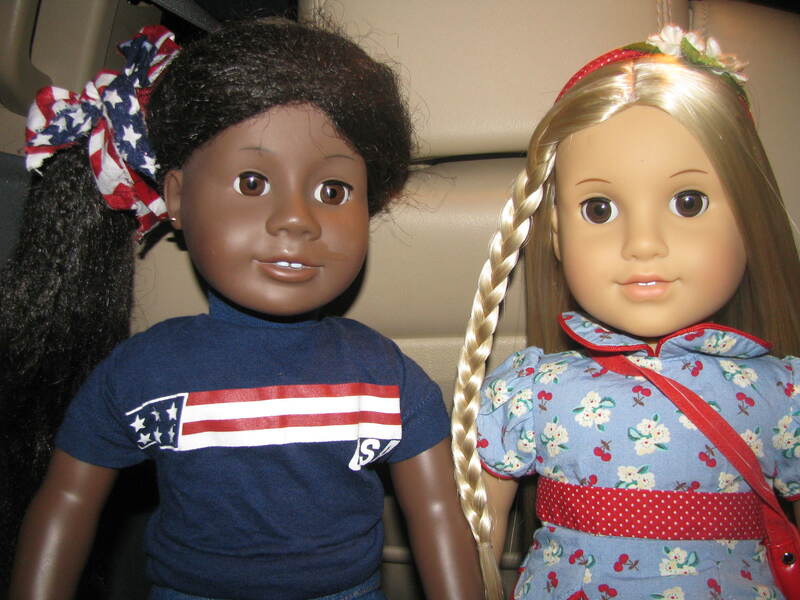 Special thanks to all your dolls for being love-ly models! And don’t forget what Valentine’s Day is about- friendship and love. Have a GREAT day everyone! Good job! Hey guys! Did you hear the news? Eva Grace has auditioned fro Season 3 of AGMA on Youtube! Please check it out! Me and her worked VERY VERY VERY hard on this so please enjoy and let Eva know she did a good job on everything. I can’t wait for the results, can you? There are over 100 contestants and AGMA must pick 20…….so there is a likely chance Eva Grace may not get in….. but hey, 20 people WILL get in, and maybe……JUST maybe…….. one of them will be Eva!